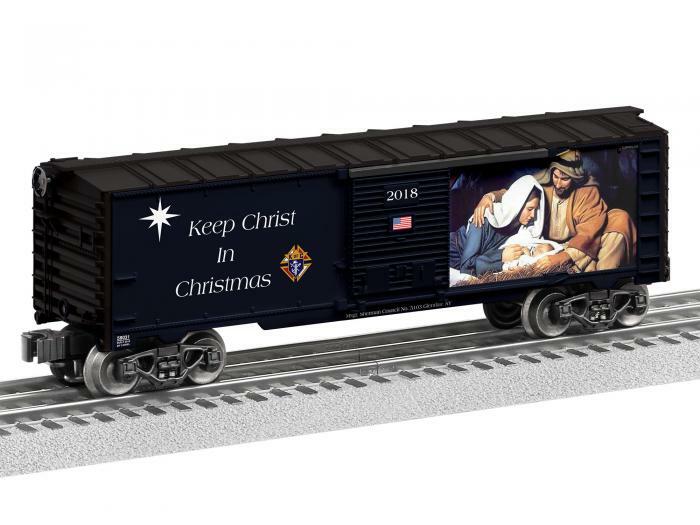 Get your 2018 Keep Christ in Christmas Boxcar! Exclusively manufactured by Lionel in the USA for the Knights of Columbus. This limited edition is the first in a series of traditional O gauge trains produced by the Glendale, New York, Msgr. Sherman Council No.5103. 100% of all proceeds will benefit K of C charities.